Benoy is pleased to announce its appointment to deliver the new David Jones flagship in Sydney, Australia. 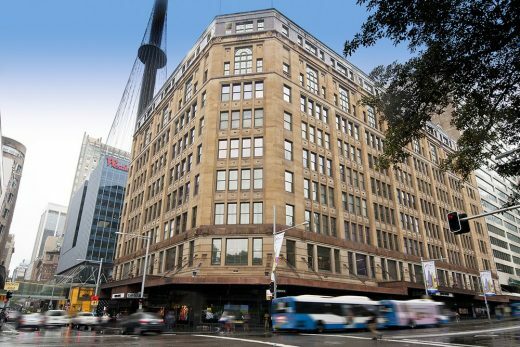 As the Lead Designer, Benoy will oversee the design of the major redevelopment of David Jones’ iconic Elizabeth Street store in the heart of Sydney’s CBD. “This is a milestone project for David Jones and we are pleased to be collaborating with Benoy, a leader in global design and architecture with a reputation for delivering innovative, award-winning retail developments. Our vision is to create a new benchmark for both Australian and international retail, delivering a world-class shopping experience for our customers while embracing the heritage of this remarkable building,” said David Thomas, David Jones Chief Operating Officer. 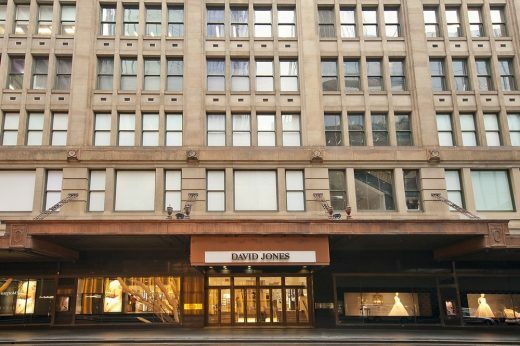 The David Jones Elizabeth Street store will be entirely refurbished and internally redesigned to create a luxurious and contemporary flagship for the brand. The development will cover a GFA of 39,000m2 across 12 levels and will, for the first time, bring together a unique combination of contemporary food and dining, fashion, beauty, accessories, and homeware under one roof. “This is an incredibly exciting win for Benoy and one which highlights the relevance of our international experience in new markets such as Australia. The David Jones Elizabeth Street store is a truly opulent building with a long history and we look forward to celebrating the heritage of this beautiful, grand building while innovating the retail experience for the people of Sydney,” said Terence Seah, Director at Benoy. Redevelopment will commence in late 2017 and is expected to complete in late 2019. 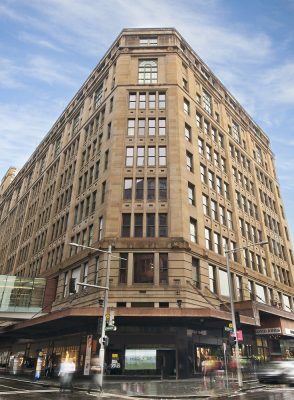 The works will occur across several coordinated phases, prioritising minimal disruption to David Jones customers with trade continuing in both the Elizabeth Street and adjacent Market Street stores throughout the refurbishment. Australian architectural firm Crone has been appointed to work with Benoy. Benoy entered the Australian market in 2015. Alongside the firm’s commission with David Jones, Benoy is also delivering two significant redevelopment projects in Western Australia including ‘The Galleria’ in Perth, and ‘Mandurah Forum’ in Mandurah. Internationally, Benoy’s portfolio includes leading retail developments such as Westfield London, iAPM in Shanghai and Parc Central in Guangzhou.